Huntington Theatre Company board and staff celebrated the shattering of a fundraising record at the 2018 Spotlight Spectacular gala, held on Monday, May 7. 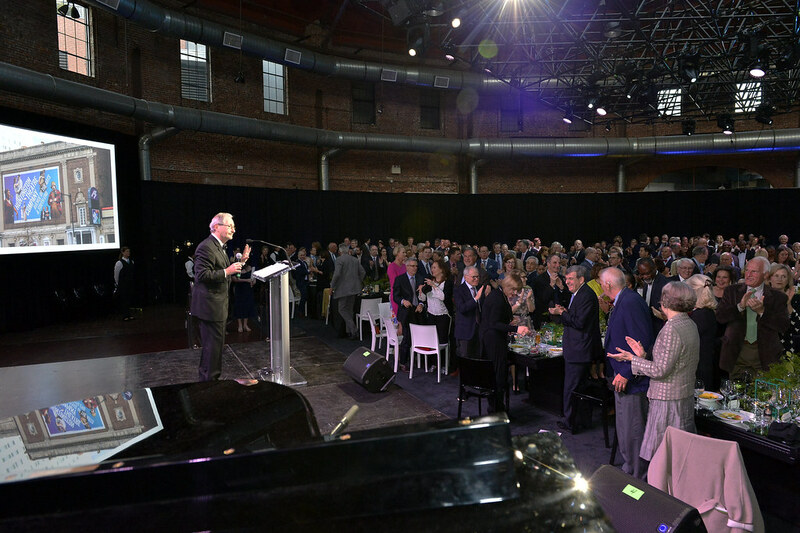 The gala brought in more than $1.275 million to support the Huntington’s operations for the fiscal year, including its broad range of education and community outreach programs. More than 480 guests – the gala’s largest-ever crowd – honored Wimberly Award recipients including Tony Award-nominated director Liesl Tommy, who has directed several Huntington shows, and Huntington Trustee Neal Balkowitsch, CEO of MAX Ultimate Food (which provided the event’s gourmet food). Proceeds from this event support the Huntington and its programs, including its award-winning education and community initiatives that reach more than 30,000 students and 6,000 community members annually.